There are a few basic face shapes and you can easily determine yours in minutes. Start by pulling all of your hair away from the face into a high pigtail so that you can see the full face. Stand in front of a mirror. Look closely at your face or use a non-permanent market to trace the outline of your face. Don’t move too much while you’re doing it. Always start at the chin and move up to the forehead. Don’t measure the ears and just follow the hairline. Now see what the traced outline looks like . 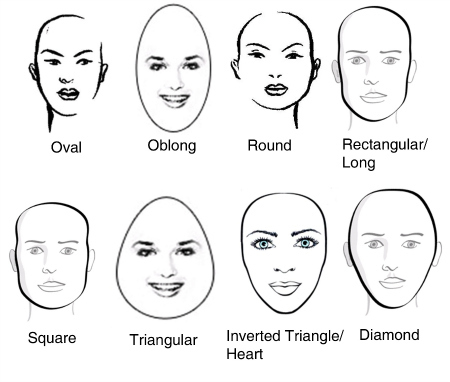 Here’s a chart of the most common face shapes. identify which one is yours . You may see that your features are not fully symmetrical which is not at all a problem. Decide which shape you are closest to and then clean the stain off of your mirror. 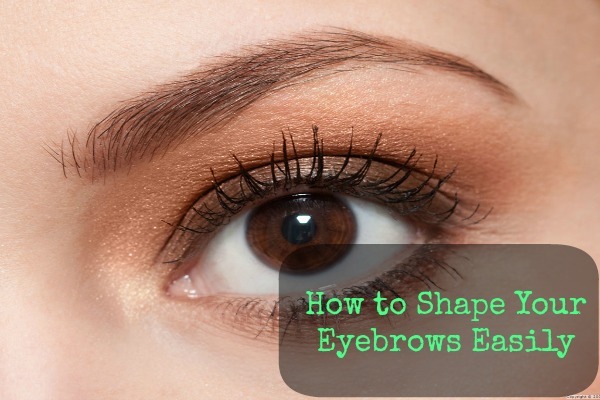 The basic Eyebrow shapes are mentioned below to help you guide through the shaping process better. 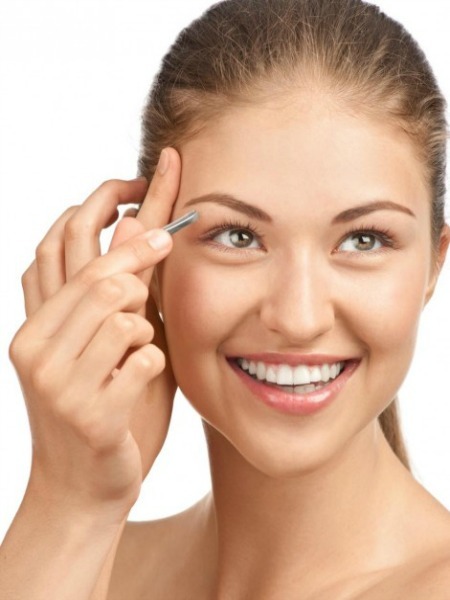 So now that you know what the ideal eyebrow shape should be you can safely start plucking your own brows. 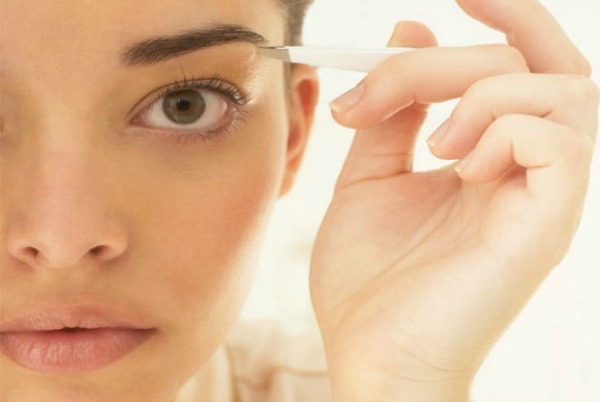 Here’s how you should start plucking your eyebrows. The shape of your eyebrows can be done by many techniques but one of the most common ways are using a pen and a marker. There are three basic and important points of an eyebrow : The starting point, the arch and the end. Hold your pencil/pen or any long pen-like object by the nose vertically parallel to the nose bridge. The point where it hits the eyebrows is where your eyebrow shall start. Use a small non-permanent marker/ eye pencil to mark the point. Now to determine the midpoint of the arch look straight into the mirror and let the pen intersect the pupil. 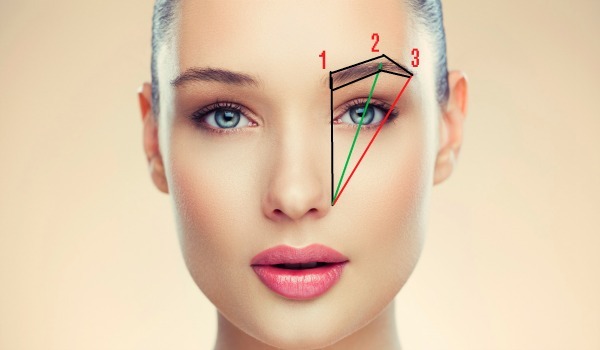 The angle should be 45° with the nose. The point where the pen/pencil touches the brow is the midpoint of your arch. Ask someone to mark the spot or do it yourself. Now starting from the same point at the edge of the nose tilt your pen/pencil till it reaches the outer edge of the eye. Your pen should touch the edge of the nose, the outer edge of the eyes and the point where is touches the brow is the end point . Mark it with the same marker used in the previous step. 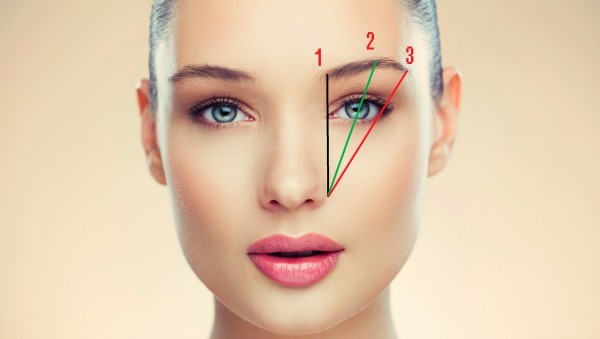 Now use your marker/eye pencil to join the three points , Next step is to determine the thickness of your brows. You can keep the thickness as per your choice but don’t g super thin as it looks a bit unnatural. Sterilized Threading Thread; you can get them at a beauty supply store or ask the local parlor staff for one if you’re regular. A vanity mirror – Without magnification. Before we start please note the process and technique of Threading takes time to master and you must not try it before you are confident. Trying it before you are sufficiently practiced will lead to awkward shaped brows and accidentally tugged skin. First of all we need to trim the long brows so that they don’t get caught up in the process of threading. Then with one hand use a spoolie brush to brush the brow hair upwards and use the pair of scissors to trim the excess length. Then use the spoolie to shape the brow. First take the threading thread roll and cut around the length of your forearm. Don’t use longer thread and stick to the smaller length to get a good control. Now take the two ends and secure them in a tight knot. Hold the side with the knot between the index finger and thumb on one hand and use the other hand to hold the opposite ends. Use three finger on one side and two on the other. Now twist the two sides that a small twist is formed. 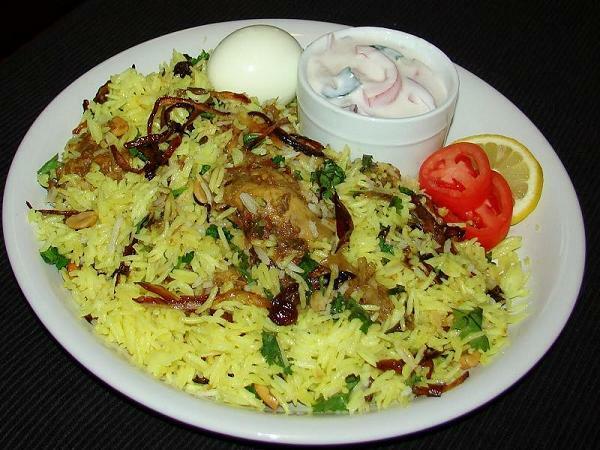 Use a clockwise direction and four to five twists. Now move the index finger and thumb on the one side and check if the twist is moving freely from one side to the other. This is the motion that will ensure smooth removal of hair. Try a bit on your leg before starting . Then align the twist along the highest hairs that need removal. For our process it should be the ones that are outside the marked area. If you are having a hard time getting the small ones then ask a friend to hold the skin above the brow taut with the hand and then do the threading. Do the threading in small sections and occasionally step back and see if you are doing it too much. Just pluck the ones that are outside the eyebrow shape. 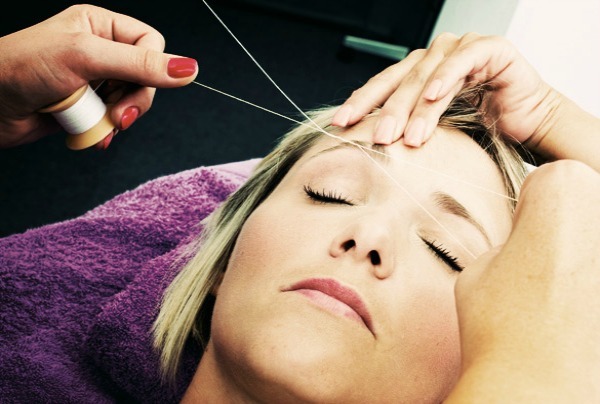 After the threading is done it’s natural that you will see your skin turning a bit red or the skin may fee irritated. 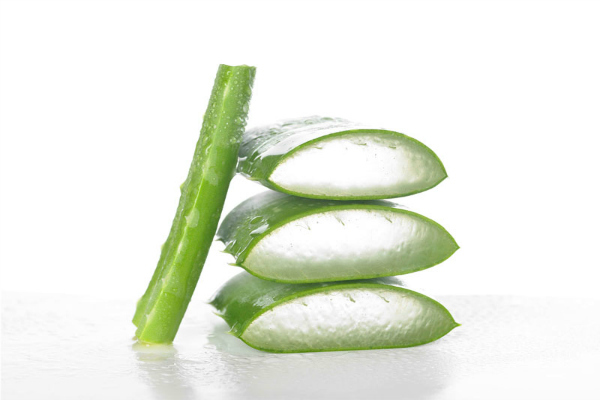 Soothe it with either witch-hazel or aloe vera gel. You can also use a cube of ice to sooth the skin. Brush the plucked out hairs from the face and use brow pencil to fill in the brows if they are sparse. 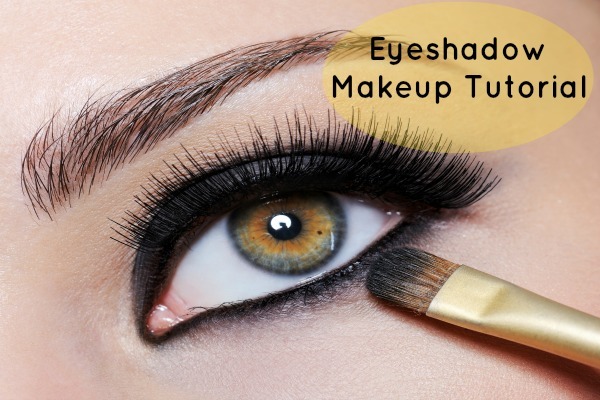 Use a shade or two lighter than the natural brow shade. **If you are trying it out for the first few times it’s better not to thread on the top part of the brows you can accidentally lower the brow down and make it look unnatural. Look into the mirror and choose the right shape for your brow depending on the face shape and mark the ideal shape using the process mentioned. Before starting point out the hairs that need to be plucked and are outside the brow shape. Hold your tweezers with one hand. Lightly press the ends to hold onto the hair and pull the tweezer with a single fast outward motion to pluck the hair from the root. If needed you may also hold the skin taut with another hand to make the process easier. Once the stray hairs are plucked use your spoolie brush to brush the hairs upwards and trim the excess length of hair . After trimming them brush them properly. 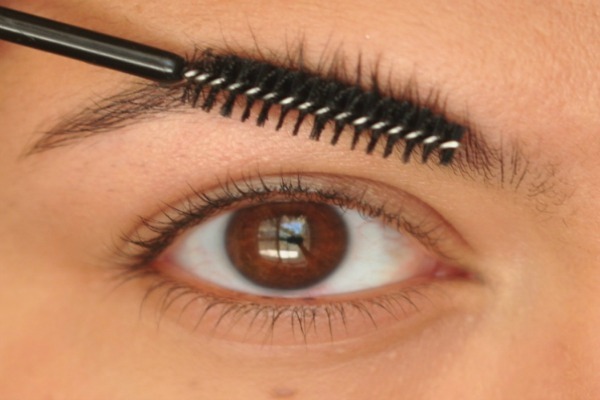 Now take your brow pencil/ brow powder and fill in the areas with sparse growth. Do take care that you don’t overdo the brows . If your bows don’t stay put use a bit of clear brow gel to tame them and keep them in place the whole day. There are very much chances that you accidentally catch skin and it can become irritated or red. Use witch hazel or aloe vera gel to soothe skin and start after a while. ***If you are trying it out for the first few times it’s better not to tweeze on the top part of the brows you can accidentally lower the brow down and make it look unnatural. 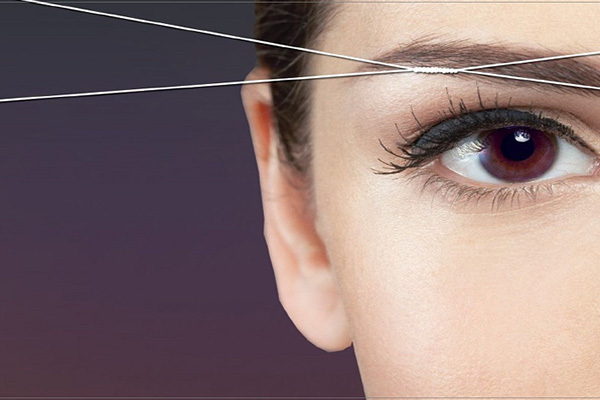 This is another very common process to shape and maintain eyebrows. Usually a different type of wax is used rather than the one used for the body. It’s easy to get them at the beauty supply store but it’s best that it’s done by the professionals. 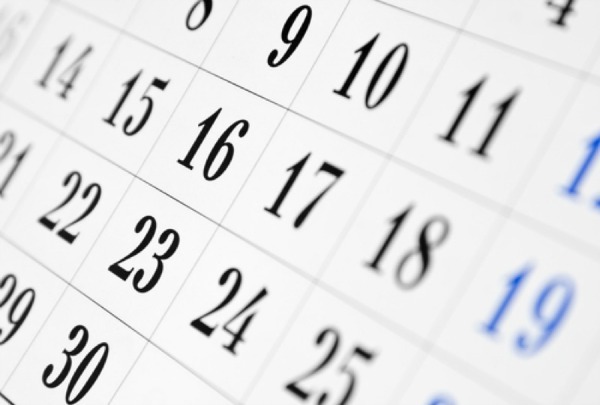 Brows need to be maintained on a daily or weekly basis depending upon the rate of hair growth. 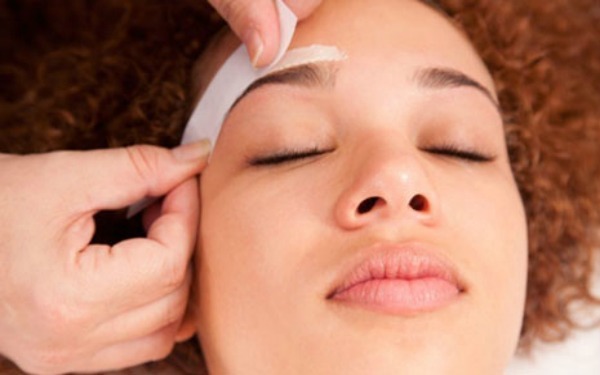 Whether you wax, thread or tweeze your brows it’s important to keep them in shape. Hair will grow after it’s removed and it’s best to keep them maintained with a bit of care. After plucking apply witch hazel /aloe vera gel to soothe the skin. and you can also use brow gel to tame the brow hair from being unruly. Fill in the brows as necessary and you are ready to face the world. Hope you guys loved our tutorial on how to shape your Eyebrow yourself . Let us know in the comments if you find it useful.